The Massachusetts Department of Public Utilities will conduct a public hearing to receive comments on the proposed municipal aggregation plan. The hearing will take place on May 6, 2019 at 2:00 PM, at the Department’s offices located at One South Station – 5th Floor, Boston, Massachusetts. Any person who desires to comment may do so at the time and place noted above or may submit written comments to the Department not later than the close of business (5:00 p.m.) on May 6, 2019. 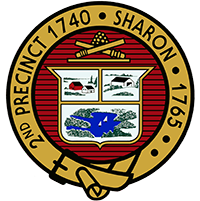 The Town of Sharon is developing a plan for an electricity aggregation program called Sharon Power Choice. The program provides an opportunity for Sharon to increase the amount of renewable energy in the community’s electricity supply. As a default, Sharon Power Choice participants will receive a standard amount of renewable electricity automatically, above the minimum amount required by state law. (The standard amount is still to be determined, depending in part on electricity prices at the time the Town enters into a contract with an electricity supplier). All Eversource/National Grid Basic Service customers (electricity customers who have not signed a contract with an electricity supplier) will be automatically enrolled. This automatic enrollment model is the state law. If you have already signed a contract with an electricity supplier, you will not be automatically enrolled, but it will be easy to opt into the program if you wish. The Sharon Power Choice aggregation plan is now available for review and public comment. The plan is a high-level guideline document that lays out the general structure of Sharon Power Choice and how it will meet regulatory requirements. The plan must be reviewed and approved by the Massachusetts Department of Public Utilities before Sharon Power Choice can launch.